Librarianship - Arieh Down Ress: Librarian, Photographer, Tutorialsmith, Problem Solver. What Can I Do For You Today? I currently work at the mid-Manhattan Library. We have the longest hours and the largest circulating collection in the New York Public Library system. ​And no: we are not the library with the lions... we are the funky old 6 story library across the street from it. I run the newest Instagram account for the library and contribute to our Facebook, Twitter and Pinterest as well. 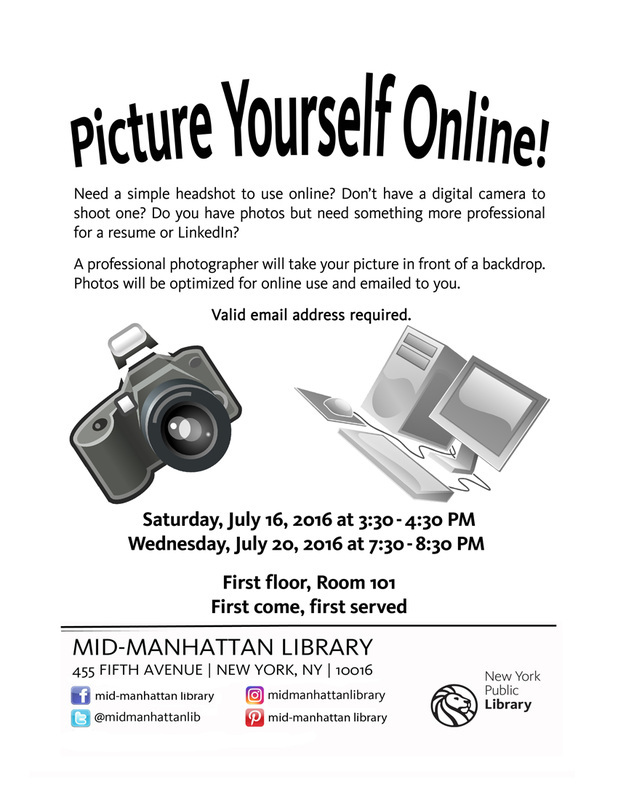 Recently I was thrilled to host a program I created called Picture Yourself Online! which had a successful start. During those first two events we had nearly 40 people come in and get a free headshot or two. Some needed a good photo for a resume or LinkedIn, some just wanted a free picture. The first was an interview with James Spader who was shooting a scene for The Blacklist in Bryant Park. It ended up being the #3 blog post in the entire NYPL system that month. I managed to interview four of the Harlem Globetrotters after a shoot near my apartment. Since then I've interviewed several others and written a few food related pieces as well. I teach computer classes from Computer Safety & Maintenance to Facebook and Windows 7. ​There are always events and programs going on (such as the author talk below) and I host or shoot photos of a few each week. Eric Bogosian speaking about his book Operation Nemesis on November 5th 2015.